Content: probably Civil Law. 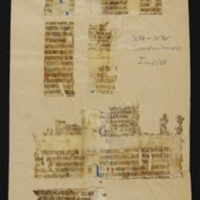 Fragments mention a will (testamentum), a freedman and freedmen (libertum, libertos), guilds and privileges (collegia, priuilegi-). Have Colker's notes. 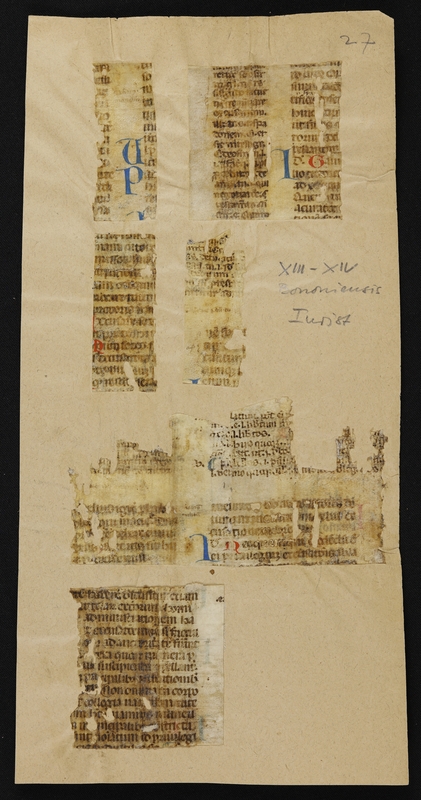 Physical Size: 6 parchment fragments (65 x 27mm, 64 x 63mm, 65 x 26mm, 65 x 26mm, 70 x 132mm, 67 x 68mm) glued to a sheet of brown paper (315 x 163mm).